TOMORROW NIGHT & EVERY WEDNESDAY! i am really enjoying our wednesdays at brooklyn stable! i love my friends for bringing their art out and supporting each other and at the same time meeting some nice new people! big up yourselves! 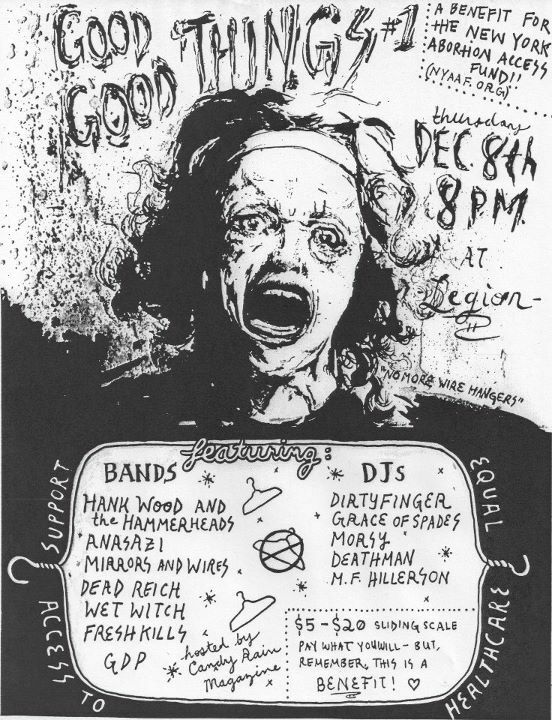 and then december 8th i will be a part of this awesome benefit for the ny abortion access fund! really stoked to be a part of this with some long time friends!